Screen Face has been supplying the entertainment industry with their products for 15 years. Screen Face make-up is used by many film stars who are household names and this top quality product is now available to the general public. They stock a large selection of portable make-up cases and mirrors, professional brushes, hair products and colour hair sprays, prosthetics, special effects and theatrical blood and a large selection of stage make-up books. Dangerous. Very dangerous. - This place is dangerous, ladies. You're going to need to take a credit card. Visiting Screen Face is, for me, the grown-up equivalent of being a kid in a sweet shop. But way more expensive. The first time that I discovered the store on Monmouth Street, I was pretty skint and my intention was to buy only concealer. Somehow I came home with half the shades of Ben Nye eye shadow too. Incidentally, those eye shadows are excellent value for money - they seem to last forever. Stocking an amazing selection of theatrical make-up and supplying a whole host of professionals and celebrities, the store is clean, tidy and upmarket, yet not intimidating. You don't need to be done up to the nines - you won't feel out of place. I'm due another visit for my yearly purchase of FX make-up prior to Halloween. I hope to spend <£20. 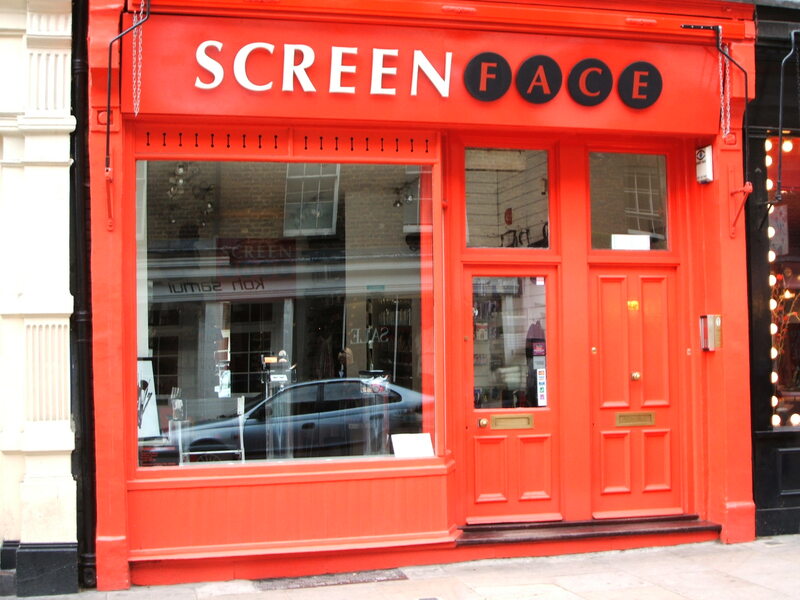 Would you like to submit a review of Screen Face, London? Share your experiences by writing a Screen Face London review and help build a directory of recommended Health & Beauty in London. If Screen Face London is owned by you, then claim it today. Business owners who claim a business can easily add new tags, photos and update their listing.